We’ve spent over 9 years working with over 91,000 church and ministry leaders to help them reach more of their sheep. 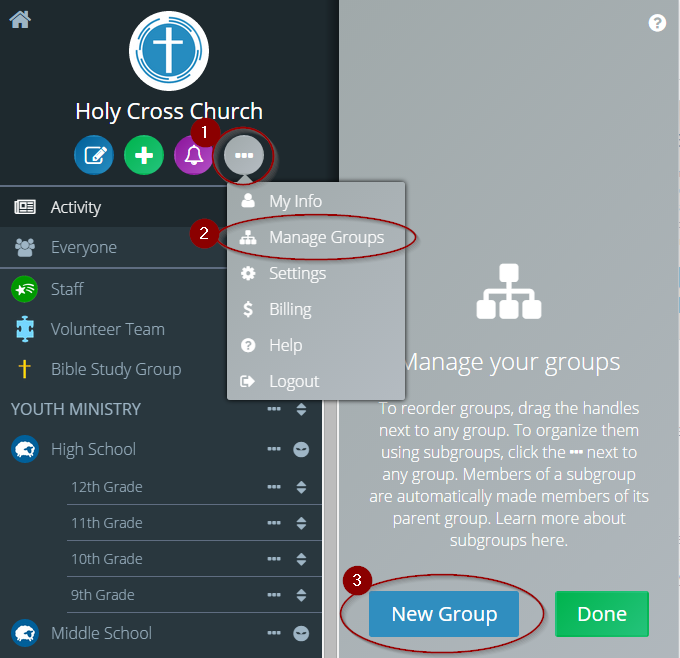 Here’s what they have to say about using Flocknote as their text messaging and email tool for their church or ministry. 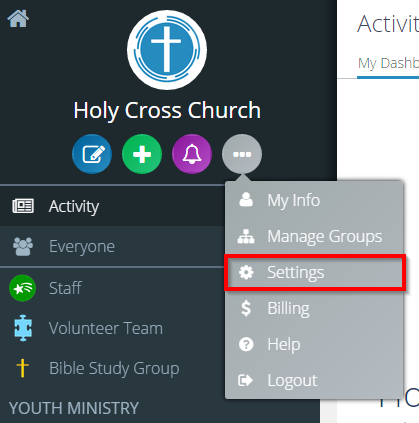 "Flocknote gives all parishes a consistent communication hub and interface for all ministry and parish activity, while also simplifying communication!" "The single best tool I use every day! Flocknote has been a game changer for our parish. It's increased participation at events, improved communication with parishioners between weekends, and streamlined our messages into one, easy to find location. I don't know where we'd be without it, to be quite honest!" "Real talk: If @Flocknote were a person, I would marry them. Thanks for making my life and ministry so much easier!!!" "I love the ease of use and scheduling options. I had been doing group e-mail and group texts with my private email and cell phone, but there were always problems and often was more hassle than it was worth. Flocknote has simplified both of these tasks and made it look great every time!" "You guys are the best, I gotta say. We've had nothing but great service whenever we needed it and that's very comforting for a guy like me who doesn't do this for a living! Thanks and bless." "It is an easy application to use and what I like the most is the Customer Service. I have 38 years working in IT for the State of Kansas and with all the vendors I worked with your Customer Service is by far the BEST!!! I have never had such a quick turnaround on questions answered or help I have needed!! Definitely a 10 in my book!!! ... Working with your company has been like a breath of fresh air!!! Your company is GREAT at follow-up and gives GREAT customer service!!! You have no idea how spoiled I have felt since working with [Flocknote]." "After an exhaustive search, we gladly chose Flocknote. Flocknote is SO easy to use - it's just about foolproof. Truly, anyone can use this and not get lost. Yet at the same time, it's full-featured AND affordable, a combination that is rare. 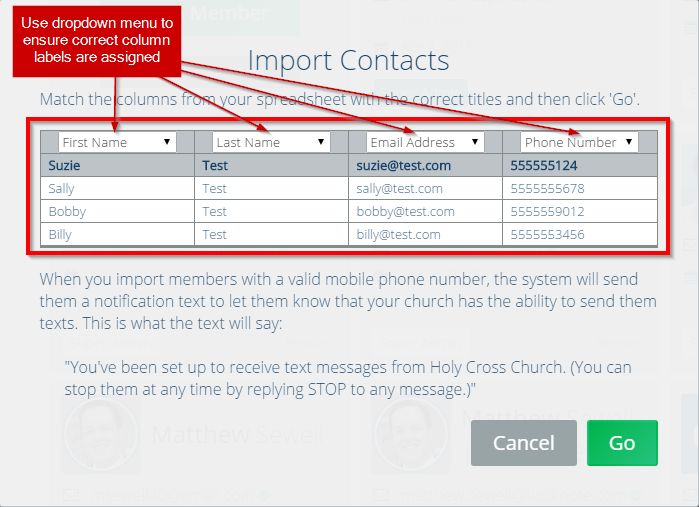 I evaluated 20-25 different texting tools for churches before purchase, and none of them provided the rare combination of ease of use, multiple administrators, affordable pricing, and a large feature set." "Flocknote is very easy to use, easier than (regular) email. We love the simplicity of the program. The first time we used Flocknote our next meeting attendance increased by 20% and since then our attendance has doubled." "I don't know what we did before Flocknote! !...Flocknote has turned several non-technical staff members into multi-tasking, email and text sending, super staffers!!! Seriously, we have a few staff who rarely used their computer for much more than checking email. Now they are fully in love with Flocknote and the ability to send messages to their "Flock" (ministries)." 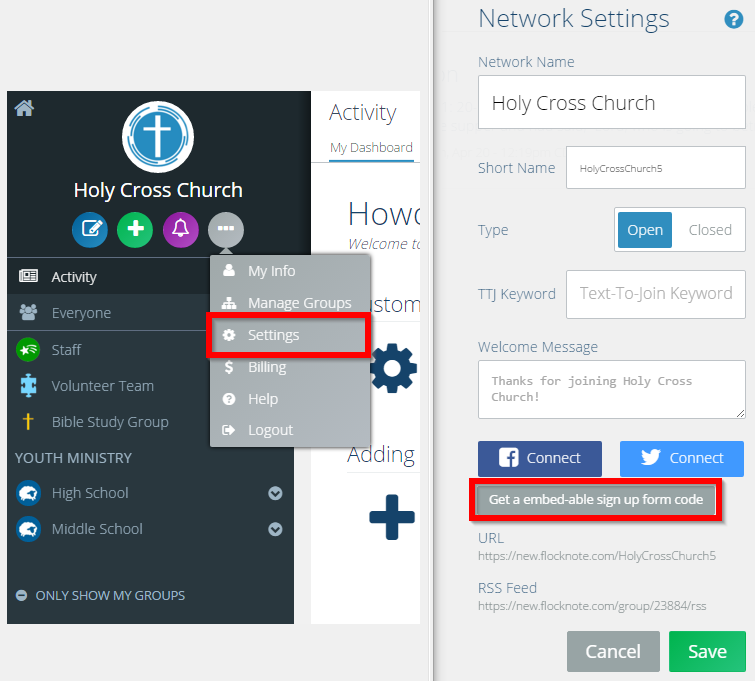 "Flocknote has made communicating with our parishioners very easy and amidst busy parish life, easy is good! Even if you aren't the most tech savvy person, fear not, for the Flocknote Happiness Engineers are easy to get in touch with and respond quickly with easy solutions. We would heartily recommend Flocknote to other parishes as an easy solution for effectively communicating with parishioners through the digital medium." Read more Flocknote reviews and testimonials from our clients themselves!